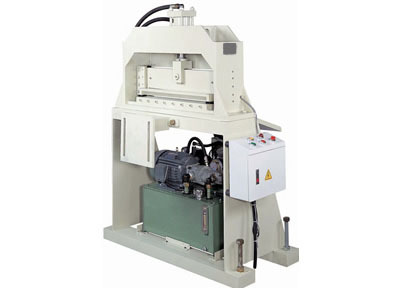 Global Tools & Machines hydraulic guillotines are ideal to integrate into a Cut to Length line or position at the material exit side of a Metal Stamping Press line to cut scrap. 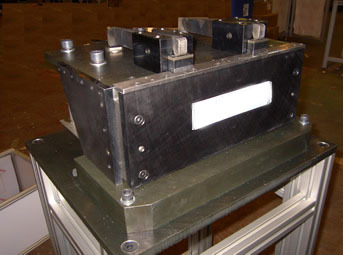 Our Hydraulic Guillotines offer performance, reliability and can seamlessly be integrated into existing Metalworking production lines. Various blade widths are available to suit your metal coil. It goes without saying that each hydraulic guillotine is subjected to our risk and hazard analysis so that safety integrity is absolute. Isolation of all Safety Critical Functions are Engineered in accordance with the relevant Safety Standards. Global Tools & Machines pneumatic scrap cutters are designed to cut off or shear off the scrap ladder or material skeleton as it exits the stamping die. Our SC scrap cutters can accommodate a maximum material width of 310mm (12.25″) and is capable of cutting 3mm (0.120″) thick metal coil. The scrap cutter is supplied with an air remote one way valve for actuation from a striker fitted to the stamping die or an electric solenoid valve can be fitted to initiate the scrap cutter on the stamping press. Our SC series scrap cutters are so versatile that they can also be mounted onto a portable stand allowing them to be moved from stamping press to stamping press in your press shop when automation is crucial.